<br>At the far edge of the solar system. There is a prison planet, where only the craziest criminals are sent. No Guards...No security...No rules. Survival and escape are the only things that matter. Survive or die... it's enough to send you GUN LOCO! 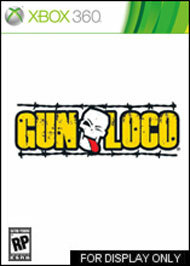 GUN LOCO is a character-driven, blood-fueled race for survival and freedom. Set on an abandoned prison planet, a collection of the craziest criminals in the system are left to their own devices to shoot their way to survival and find a way to escape the planet. Featuring a completely unique style, 'Sprint-Action-shooter' gameplay and frantic Multiplayer mayhem, players will experience a taste of the mad, bad world of GUN LOCO!